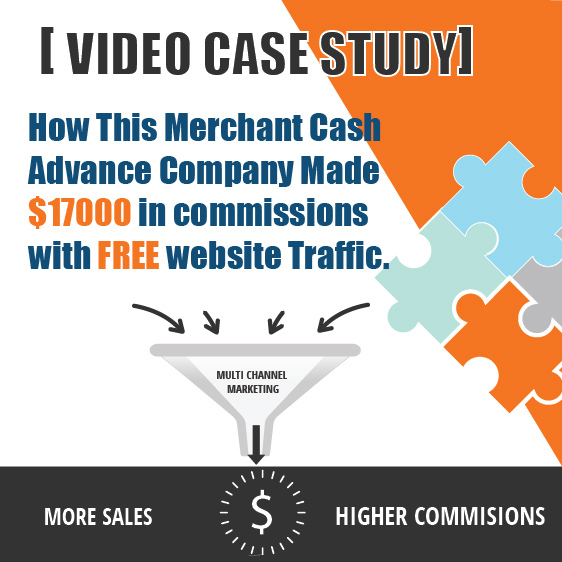 Having Live Transfer Leads To Boost Your Merchant Cash Advance Lead Generation Efforts? Due to stagnant economic growth, traditional finance institutions have reduced the funding for small businesses, especially the startups due to their bad or zero credit history. This situation forced small business owners to look for alternative funding agencies. Merchant cash advance companies offer the best solution for these business players. Merchant cash advance is the quickest lending option available for businesses, this is the reason it is also known as immediate cash. Hence why a merchant cash advance is increasingly gaining popularity as alternative funding among business owners. However, though the merchant cash advance industry is becoming more popular right now, we all are aware that finding and building clients in the merchant cash advance industry is not an easy task, even though a number of businesses are looking for alternative funding. With the fierce competition in the merchant cash advance industry, when planning to launch a merchant cash advance lead generation campaign, you need to be very strategic. A number of things should be considered before you actually market your merchant cash advance business. The most important thing that a merchant cash advance provider needs to pay attention to is identifying their target customers – those businesses actually looking for funding. 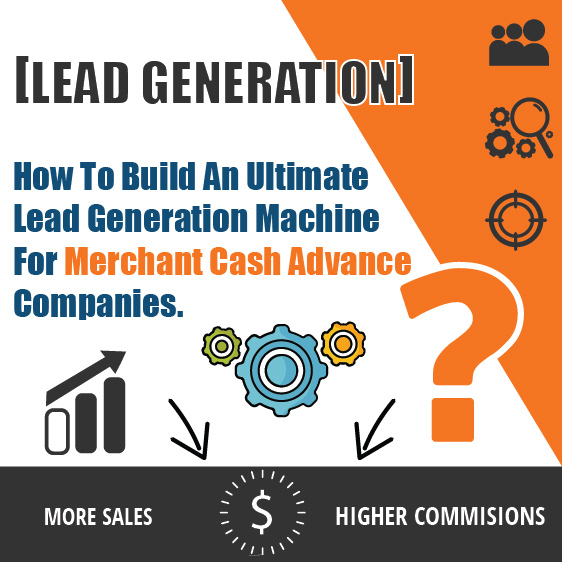 Getting quality leads from a merchant cash advance lead generation service is the best way to identify your target customers. Lacking access to such lists, all your merchant cash advance marketing efforts go waste and you are not able to generate the desired results. Many merchant cash advance providers chose to find prospective clients by themselves. This is a good initiative, however, what they don’t realize is doing this by themselves will cost them time and money. They have to deal with numerous rejections and approach wrong prospective clients. Time and money are wasted while business goal is not even close. With live transfer leads, you are guaranteed to have a list of the right potential clients to approach to. Your marketing investment will be paid off because these leads will give you promising deals. Getting qualified live transfer leads from a strategic merchant cash advance lead generation service is advantageous in the success of selling business loans. The lists usually includes the names of the businesses with a minimum year in business, the minimum amount of gross sales revenue, merchant funding needs within 1 – 2 weeks, and the merchant has an immediate use for the funds. The data contained in the lists is first checked, confirmed, and then filtered to guarantee integrity and authenticity of the information. Generally, the businesses listed in qualified live transfer leads are those who have previously applied for a merchant cash advance and are seeking this type of loan in the near future. The businesses that have already applied for merchant cash advance are aware of the loan application process and repayments so they make the ideal customer. So, when you plan merchant cash advance marketing to sell business loans, getting qualified live transfer leads is the ideal solution. 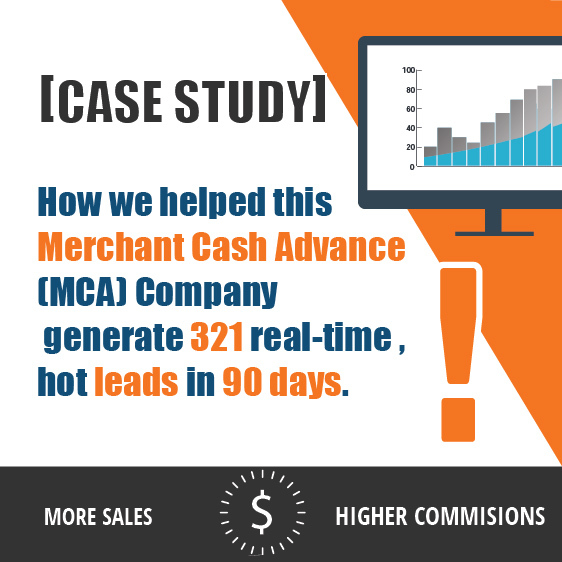 If you want to learn more about live transfer leads for Merchant Cash Advance or looking for Merchant Cash Advance Lead Generation service provider for your merchant cash advance business, you can check out our website at https://localmarketingstars.com/. https://localmarketingstars.com/wengine/wp-content/uploads/2017/04/HavingLiveTransferLeadsToBoostYourMerchantCashAdvanceLeadGenerationEfforts.jpg 627 1200 Oguz Konar https://localmarketingstars.com/wengine/wp-content/uploads/2017/06/local-marketing-stars-e.png Oguz Konar2017-05-01 10:38:552017-04-28 19:43:12Having Live Transfer Leads To Boost Your Merchant Cash Advance Lead Generation Efforts?